1 E None No Power Seat 1 E is a standard Business Class bulkhead seat however, the proximity to the galley may be bothersome. 1 F None No Power Seat 1 F is a standard Business Class bulkhead seat however, the proximity to the galley may be bothersome. 23 A None No Power Seat 23 A is a standard Economy Class bulkhead seat that may have restricted legroom due to the position of the bulkhead. 23 B None No Power Seat 23 B is a standard Economy Class bulkhead seat that may have restricted legroom due to the position of the bulkhead. 23 J None No Power Seat 23 J is a standard Economy Class bulkhead seat that may have restricted legroom due to the position of the bulkhead. 23 K None No Power Seat 23 K is a standard Economy Class bulkhead seat that may have restricted legroom due to the position of the bulkhead. 24 D None No Power Seat 24 D is a standard Economy Class bulkhead seat that may have restricted legroom due to the position of the bulkhead. 24 E None No Power Seat 24 E is a standard Economy Class bulkhead seat that may have restricted legroom due to the position of the bulkhead. 24 F None No Power Seat 24 F is a standard Economy Class bulkhead seat that may have restricted legroom due to the position of the bulkhead. 24 G None No Power Seat 24 G is a standard Economy Class bulkhead seat that may have restricted legroom due to the position of the bulkhead. 39 A None No Power Seat 39 A is a standard Economy Class seat whose proximity to the lavatories may be bothersome. 39 D None No Power Seat 39 D is a standard Economy Class seat whose proximity to the lavatories may be bothersome. 39 E None No Power Seat 39 E is a standard Economy Class seat whose proximity to the lavatories may be bothersome. 39 F None No Power Seat 39 F is a standard Economy Class seat whose proximity to the lavatories may be bothersome. 39 G None No Power Seat 39 G is a standard Economy Class seat whose proximity to the lavatories may be bothersome. 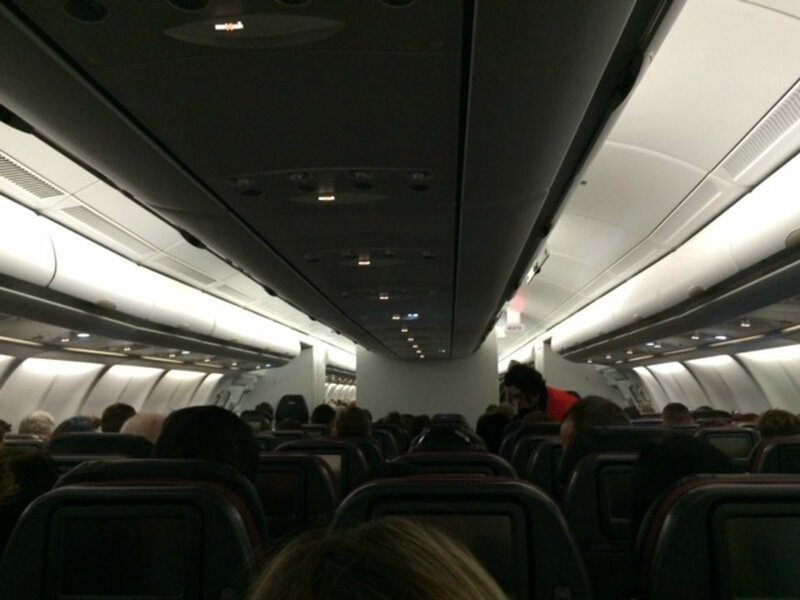 39 K None No Power Seat 39 K is a standard Economy Class seat whose proximity to the lavatories may be bothersome. 44 A None No Power Seat 44 A is a standard Economy Class seat with extra legroom due to the exit row. The tray table is in the armrest, making the armrest immovable and slightly reducing seat width. There is no floor storage for this seat during takeoff and landing. The close proximity to the lavatories may be bothersome. 44 B None No Power Seat 44 B is a standard Economy Class seat with extra legroom due to the exit row. The tray table is in the armrest, making the armrest immovable and slightly reducing seat width. There is no floor storage for this seat during takeoff and landing. The close proximity to the lavatories may be bothersome. 44 D None No Power Seat 44 D is a standard Economy Class seat with extra legroom due to the exit row. The tray table is in the armrest, making the armrest immovable and slightly reducing seat width. There is no floor storage for this seat during takeoff and landing. The close proximity to the lavatories may be bothersome. 44 E None No Power Seat 44 E is a standard Economy Class seat with extra legroom due to the exit row. The tray table is in the armrest, making the armrest immovable and slightly reducing seat width. There is no floor storage for this seat during takeoff and landing. The close proximity to the lavatories may be bothersome. 44 F None No Power Seat 44 F is a standard Economy Class seat with extra legroom due to the exit row. The tray table is in the armrest, making the armrest immovable and slightly reducing seat width. There is no floor storage for this seat during takeoff and landing. The close proximity to the lavatories may be bothersome. 44 G None No Power Seat 44 G is a standard Economy Class seat with extra legroom due to the exit row. The tray table is in the armrest, making the armrest immovable and slightly reducing seat width. There is no floor storage for this seat during takeoff and landing. The close proximity to the lavatories may be bothersome. 44 J None No Power Seat 44 J is a standard Economy Class seat with extra legroom due to the exit row. The tray table is in the armrest, making the armrest immovable and slightly reducing seat width. There is no floor storage for this seat during takeoff and landing. The close proximity to the lavatories may be bothersome. 44 K None No Power Seat 44 K is a standard Economy Class seat with extra legroom due to the exit row. The tray table is in the armrest, making the armrest immovable and slightly reducing seat width. There is no floor storage for this seat during takeoff and landing. The close proximity to the lavatories may be bothersome. 53 D None No Power Seat 53 D is a standard Economy Class seat that passengers may bump into due to the awkward configuration transition from 4 to 3 seats in the row behind. 53 G None No Power Seat 53 G is a standard Economy Class seat that passengers may bump into due to the awkward configuration transition from 4 to 3 seats in the row behind. 54 D None No Power Seat 54 D is a standard Economy Class seat that may have slightly restricted leg and storage space due to the misalignment with the row in front. 54 E None No Power Seat 54 E is a standard Economy Class seat that may have slightly restricted leg and storage space due to the misalignment with the row in front. 54 F None No Power Seat 54 F is a standard Economy Class seat that may have slightly restricted leg and storage space due to the misalignment with the row in front. 57 A None No Power Seat 57 A is a standard Economy Class seat in the last row of the aircraft. The close proximity to the lavatories and galleys may be bothersome. 57 B None No Power Seat 57 B is a standard Economy Class seat in the last row of the aircraft. 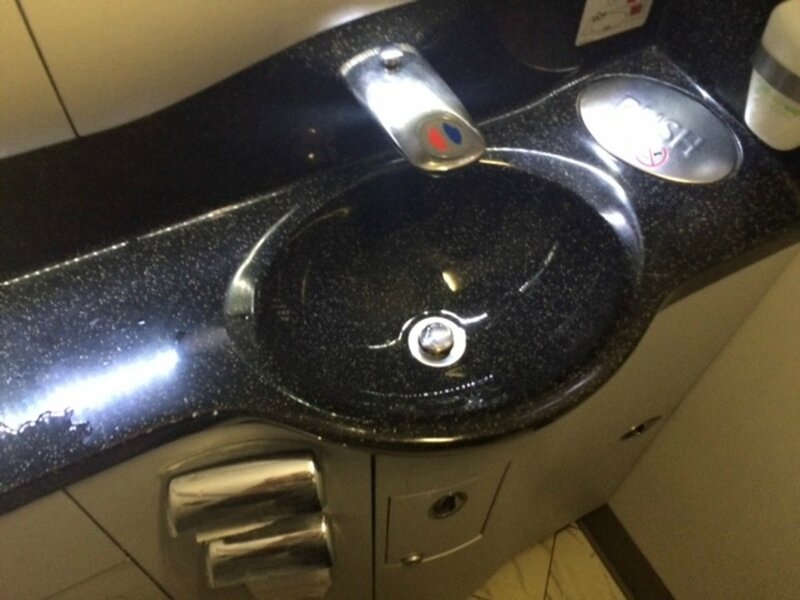 The close proximity to the lavatories and galleys may be bothersome. 57 J None No Power Seat 57 J is a standard Economy Class seat in the last row of the aircraft. The close proximity to the lavatories and galleys may be bothersome. 57 K None No Power Seat 57 K is a standard Economy Class seat in the last row of the aircraft. The close proximity to the lavatories and galleys may be bothersome. 58 D None No Power Seat 58 D is a standard Economy Class seat in the last row of the aircraft. The close proximity to the lavatories and galleys may be bothersome. 58 E None No Power Seat 58 E is a standard Economy Class seat in the last row of the aircraft. The close proximity to the lavatories and galleys may be bothersome. 58 F None No Power Seat 58 F is a standard Economy Class seat in the last row of the aircraft. The close proximity to the lavatories and galleys may be bothersome. This version of Qantas' Airbus 330-200 aircraft operates on long-range domestic routes. Note there are five versions of this aircraft, so be sure to compare in order to determine on which aircraft you are flying. Trip is AKL-SYD. 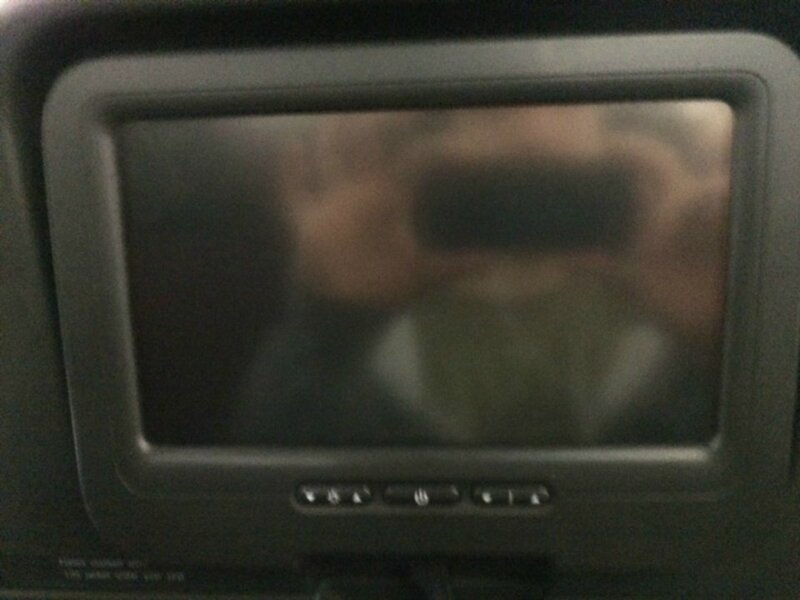 Some of these QF planes now have been refitted with I-pads instead of fixed screens. A metal bracket on the back of the seat in front secures the I-Pad, apparently designed to impale itself in your forehead in an emergency braking situation. Available movies etc. worse than Air New Zealand. Shortage of I-Pads available for every seat so some people got no Movies etc. Legroom certainly isn't the claimed 31"...perhaps 28". Food OK - better than Air New Zealand. Overall OK but very cramped. 39G SYD-PER. Seat was ok, luggage compartment full of blankets and pillows had to stow bags further up the aircraft. 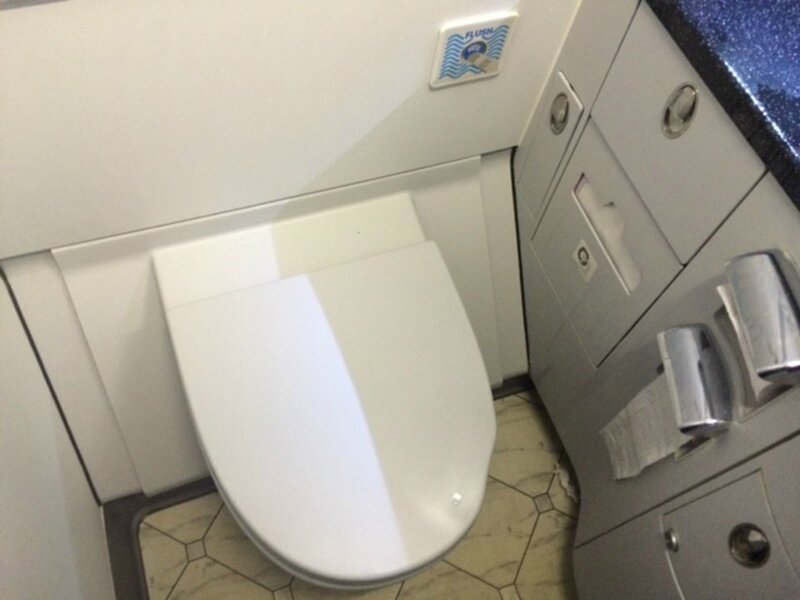 Toilets directly behind seat was not troublesome at all was quite convenient. Seat back video touch screens and food ok 4 choics on this dinner flight. The economy seats on this aircraft are a disgrace. The seat pitch is the worst I have ever experienced in over 35 years international flying. My knees were pressed against the pocket of the seat in front, and I am only 178 cm tall. This aircraft seemed to have been recently refurbished with new seats and probably added rows, reducing the seat pitch. I could not measure the pitch but it is definitely not the 31 inches claimed. More like 28 inches. I agree the privacy on the window in the even numbered rows was great, being a day flight I felt a little claustrophobic and there is not enough of an arm rest on the left when you recline, found that uncomfortable and to get in and out it was a hassle raising seat etc. but hardly something to care too much about, it was great. My return flight I have chose an aisle seat in row 1 as I noticed coming over whoever sat in that seat had like a throne type of setting, space either side and easy to get our of, will be interesting but was a great new product and crew fantastic. We paid the surcharge to have extra legroom seats 44AB flying overnight from Singapore to Melbourne. It was not to bad when we flew them on QF35 during a daylight flight but, did not fit the bill on the night flight. The very-much extra legroom is offset by a narrow seat due to in-armrest tray table, a flaccid useless tray table, the lack of a decent screen on a seat back in front of you (the pop up screens were floppy and the screens frustratingly unresponsive), no USB ports as in the other seats, and of course the constant procession to the lavs. I could almost cope with this if people knew how to shut the toilet doors after themselves but this seemed to become my responsibility. When I finally did nod off to sleep I soon awoke in searing pain with someone standing on my foot. They seemed to think the area in front of us was their exercise area. Theses seats also have a very uncomfortable seatbelt as they each hold an airbag. In summary, probably not worth the extra money. My experience was absolutely terrible, no in-flight entertainment and my lamb rice, was more like lamb essence, the crew even agreed that the food looked terrible! I travelled in a group of 5, and we all agreed that most of our trip was really bad. We got onboard okay, then when we took off, the pilot said that the onboard streaming service was a bit broken, which meant that there was no in-flight entertainment, overall a terrible experience, which is'nt very good for Qantas, and we paid extra for these tickets! Would not recommend this trip. This business class seat is ok, don't expect anything special if you are 6' or over. Tired interior, filthy toilet and the crew that clearly felt they have been punished for the sins from the previous life. ZERO customer service. ZERO reaction to the call bell. Sarcastic smile when asked if it would be OK to AT LEAST get a glass of water. They were too busy reading gossip magazines. Shambolic experience. Seat located right next to the window rather then having the table between you and the window like seat 1A. I find this seat along with 4A, 2K, 4K to be more private then the others. Even though this seat is highlighted yellow, I liked it. It's like sitting at the back of the bus. Sufficient space and pitch, and the bathroom behind was no problem during the 5 hour day flight. No one was sitting next to me so that was also a bonus. The seat had a good view of the back of the wing and you could easily see the ground. I would choose this seat again. I would upload photos but there is no option to upload them here. Absolutely horrendous experience. I'm 6' tall but was caged in and couldn't even lower my tray table fully. Had leg pain for hours after the flight. Honestly wouldn't travel Qantas again if I had any say in it. Very roomy seat. Good to have as a pair side by side if you're travelling with your significant other, friend or colleague. However, as it is so far forward the lack of any windows or views at a all was very disorientating and as a result I wouldn't choose this seat gain. Shame too Qantas staff don't even check what food they are serving before they commence serving. Pretty basic to need to know what you are serving business class guests. Amazing that they didn't know or bother to find out in advance. 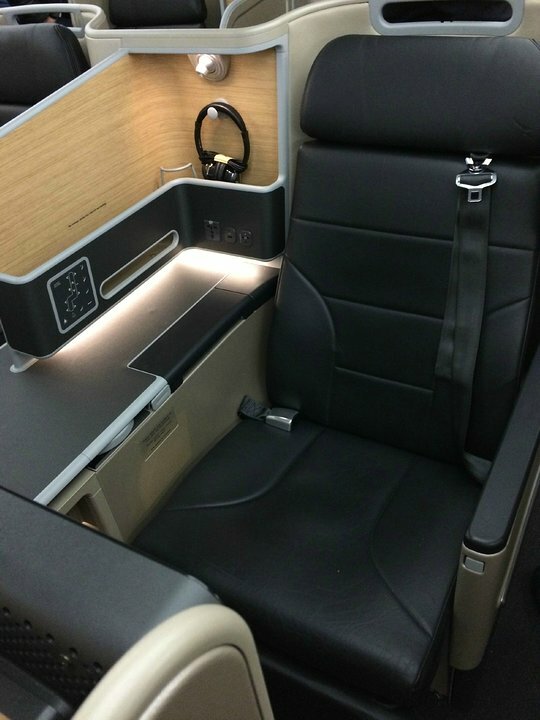 The new business class suites are some of the best in any airline. Plenty of room, with a big screen and as much privacy as you could get. I have flown in this plane regularly over the past few months and haven't been in a bad seat, that being said I haven't sat in the middle seats either. It's great to be able to have the seat in a reclined position for take-off and landing too. In bed configuration these are also some one of the most comfortable I have come across. Top marks to Qantas for this innovative design. Qantas free up seats close to the pointy end from 80 hours before your flight, hence my acquiring 4A. Seat is closer to the two windows for a better view of below, and away from corridor traffic. I found leg room not as generous as seat 7A on a previous flight. Suites have generous tray table room with a curved shape for us larger folk. If you want privacy, the even numbered window suites are the best. Found seat 7A very roomy. The seat is on the economy side of the main cabin door, which gets quite busy when passengers are embarking and disembarking. There is a partition between your seat and the economy class, and you do enjoy two windows (one is tucked behind the tv unit). Tray table is a very generous fit with curved shape for us larger folk. I found more leg room in 7A than in 4A on another flight. I sat in seat 7F which is part of the rear section in business class, a block of 6 seats. Only disadvantage is that seats 7A & 7K have one window each side in this entire block. No windows forward as the doors are on each side of the aircraft. Perfect seats if your sleeping during a night flight, which l did, but not so good if you want to look out a window. Most comfortable seats especially for the flat bed. First experience of new Business Suite on VH-EBB PER-MEL 18/09/15. The best Business Class seat I have used. Comfortable, private, plenty of room and easy to sleep. Best economy I have ever flown on. I fly with Qantas (and others) weekly and this new config is brilliant. They have done really well here. Roomy and comfortable.